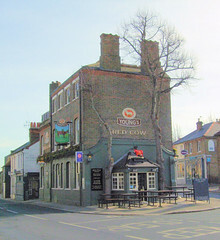 Young's pub in Richmond. Accommodation available. Food is served noon-9pm every day. Food looks relatively interesting, judging by the sample menu on their website. Opening hours and food times taken from Young's website, February 2008. Last edited 2015-09-12 14:08:25 (version 18; diff). List all versions. Page last edited 2015-09-12 14:08:25 (version 18).